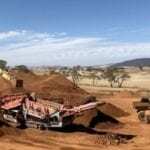 A Chinese company has invested in a new bauxite mining site in Tasmania’s north. Production could start mid-2014, creating up to 45 new jobs. 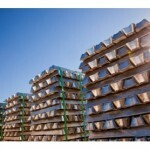 Australian Bauxite Limited (ABx), and Chinese aluminium company Xinfa Group have started negotiations for the project. ABx chief executive Ian Levy said the company would hire between 35 and 45 Tasmanian employees. “We will completely source (the workforce) locally,” he told The Advocate. The project is waiting on approvals, and a mining lease application is also under way. This will be ABx’s first in Tasmania. Levy said the application should be lodged later this month. He added the life of the mine is about five or six years and said ABx is interested in other bauxite deposits in Tasmania. Xinfa has also invested in a project at Goulburn South, in southern New South Wales. Xinfa will get a 50 per cent interest in the projects through marketing management. It will also take at least 50 per cent of bauxite production from the projects. 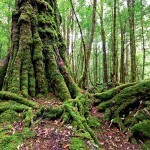 The companies will use Bell Bay port, about 100 kilometres north of the Tasmanian mine site.